Media coverage of Cuban medical cooperation following the disastrous recent earthquake in Haiti was sparse indeed. International news reports usually described the Dominican Republic as being the first to provide assistance, while Fox News sang the praises of U.S. relief efforts in a report entitled “U.S. Spearheads Global Response to Haiti Earthquake”-a common theme of its extensive coverage. CNN also broadcast hundreds of reports, and in fact one focused on a Cuban doctor wearing a T-shirt with a large image of Che Guevara–and yet described him as a “Spanish doctor”. In general, international news reports ignored Cuba’s efforts. By March 24, CNN for example, had 601 reports on their news website regarding the earthquake in Haiti-of which only 18 (briefly) referenced Cuban assistance. Similarly, between them the New York Times and the Washington Post had 750 posts regarding the earthquake and relief efforts, though not a single one discusses in any detail any Cuban support. In reality, however, Cuba’s medical role had been extremely important-and had been present since 1998. In 1998, Haiti was struck by Hurricane Georges. The hurricane caused 230 deaths, destroyed 80% of the crops, and left 167,000 people homeless. Despite the fact that Cuba and Haiti had not had diplomatic relations in over 36 years, Cuba immediately offered a multifaceted agreement to assist them, of which the most important was medical cooperation. Cuba adopted a two-pronged public health approach to help Haiti. First, it agreed to maintain hundreds of doctors in the country for as long as necessary, working wherever they were posted by the Haitian government. This was particularly significant as Haiti’s health care system was easily the worst in the Americas, with life expectancy of only 54 years in 1990 and one out of every 5 adult deaths due to AIDS, while 12.1% of children died from preventable intestinal infectious diseases. In addition Cuba agreed to train Haitian doctors in Cuba, providing that they would later return and take the places of the Cuban doctors (a process of “brain gain” rather than “brain drain”). Significantly, the students were selected from non-traditional backgrounds, and were mainly poor. It was thought that, because of their socio-economic background, they fully understood their country’s need for medical personnel, and would return to work where they were needed. The first cohort of students began studying in May, 1999 at the Latin American School of Medicine (ELAM). By 2007, significant change had already been achieved throughout the country. It is worth noting that Cuban medical personnel were estimated to be caring for 75% of the population. Studies by the Pan American Health Organization (PAHO) indicated clear improvements in the health profile since this extensive Cuban medical cooperation began. Cuban medical personnel had clearly made a major difference to the national health profile since 1998, largely because of their proactive role in preventive medicine-as can be seen below. By 2010, at no cost to medical students, Cuba had trained some 550 Haitian doctors, and is at present training a further 567. 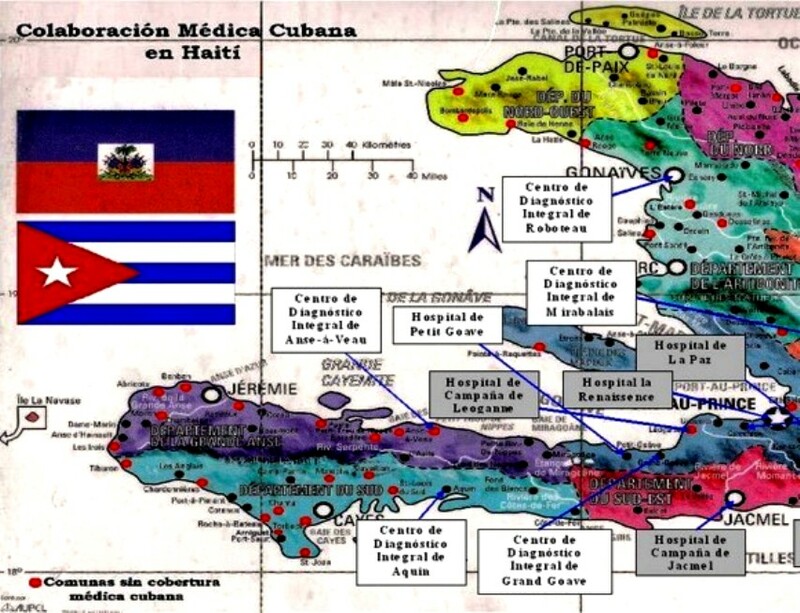 Moreover, since 1998 some 6,094 Cuban medical personnel have worked in Haiti. They had given over 14.6 million consultations, carried out 207,000 surgical operations, including 45,000 vision restoration operations through their Operation Miracle programme, attended 103,000 births, and taught literacy to 165,000. In fact at the time of the earthquake there were 344 Cuban medical personnel there. All of this medical cooperation, it must be remembered, was provided over an 11-year period before the earthquake of January 12, 2010. The earthquake killed at least 220,000, injured 300,000 and left 1.5 million homeless. 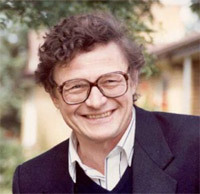 Haitian PrimeMinister Jean-Max Bellerive described it as “the worst catastrophe that has occurred in Haiti in two centuries”. International aid began flooding in. It is important to note the type of medical aid provided by some major international players. Médecins Sans Frontières (MSF), for example, an organization known for its international medical assistance, flew in some 348 international staff, in addition to the 3,060 national staff it already employed. By March 12 they had treated some 54,000 patients, and completed 3,700 surgical operations. Canada’s contribution included the deployment of 2,046 Canadian Forces personnel, including 200 DART personnel. The DART (Disaster Assistance Response Team) received the most media attention, as it conducted 21,000 consultations-though it should be noted they do not treat any serious trauma patients or provide surgical care. Indeed, among the DART personnel, only 45 are medical staff, with others being involved in water purification, security, and reconstruction. In total, the Canadians stayed for only 7 weeks. The United States government, which received extensive positive media attention, sent the USNS “Comfort”, a 1,000-bed hospital ship with a 550-person medical staff and stayed for 7 weeks, in which time they treated 871 patients, performing 843 surgical operations. Both the Canadian and US contributions were important-while they were there. Lost in the media shuffle was the fact that, for the first 72 hours following the earthquake, Cuban doctors were in fact the main medical support for the country. Within the first 24 hours, they had completed 1,000 emergency surgeries, turned their living quarters into clinics, and were running the only medical centers in the country, including 5 comprehensive diagnostic centers (small hospitals) which they had previously built. In addition another 5 in various stages of construction were also used, and they turned their ophthalmology center into a field hospital-which treated 605 patients within the first 12 hours following the earthquake. Cuba soon became responsible for some 1,500 medical personnel in Haiti. Of those, some 344 doctors were already working in Haiti, while over 350 members of the “Henry Reeve” Emergency Response Medical Brigade were sent by Cuba following the earthquake. In addition, 546 graduates of ELAM from a variety of countries, and 184 5th and 6th year Haitian ELAM students joined, as did a number of Venezuelan medical personnel. In the final analysis, they were working throughout Haiti in 20 rehabilitation centers and 20 hospitals, running 15 operating theatres, and had vaccinated 400,000. With reason Fidel Castro stated, “we send doctors, not soldiers”.